As a Cyber Risk Senior Consultant for Deloitte's Financial Risk Services, you’ll work with our diverse teams of leading professionals to help design and implement solutions to some of today’s toughest cybersecurity challenges so they can achieve business growth and manage risk. You’ll build on your foundations in Information Technology and Business to design and implement business-aligned cyber risk management programs, processes, and systems that help clients focus their investments on key information technology risks. 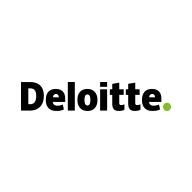 Contribute to Deloitte’s thought leadership in client organizations and the external market place. Travel up to 80% required (Mon - Thurs). 2 + year minimum of work experience in 1 or more Cyber focus areas such as: Data Risk, Identity, Risk Assessment, SEIM, NIST/ISO or Regulatory framework - NYDFS or FSIEC.